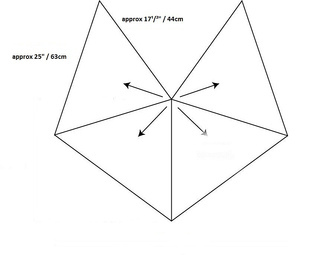 PLEASE CHECK: reviewed pdf at Jan4, 2016. 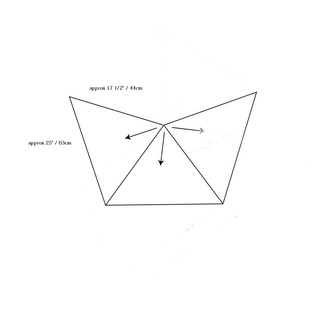 ENGLISH Row 2: Row 2 (RS): K3, slm, yo, k until next marker, yo, slm, k1, slm, yo, k until next marker, yo, slm, k1, slm, yo, k until next marker, yo, slm, k1, slm, yo, k until next marker, yo, slm, K3. 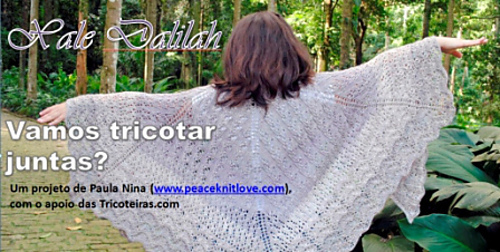 Dalilah was created to be a warm & texturized shawl. 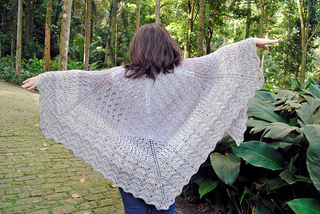 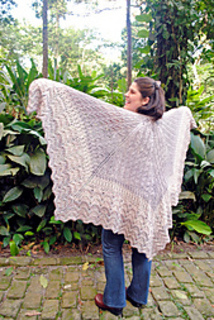 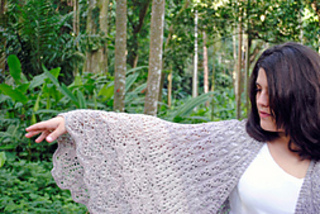 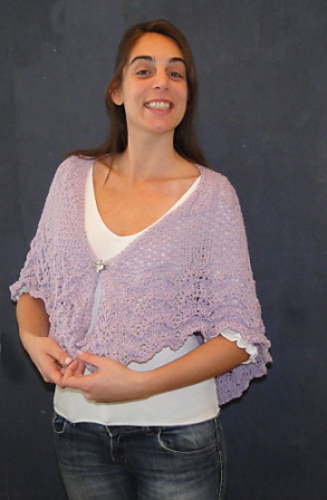 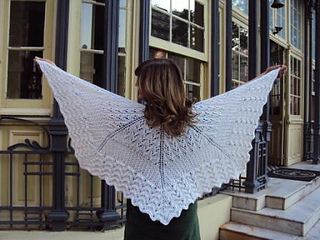 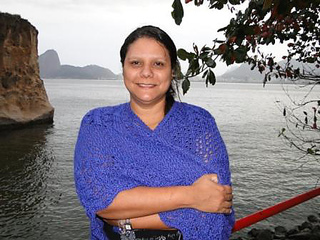 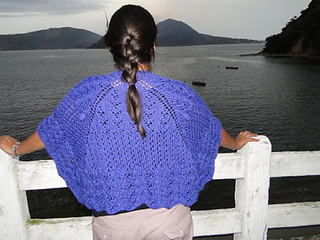 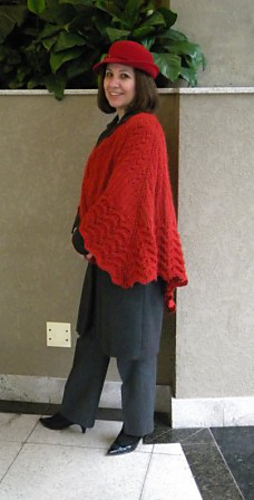 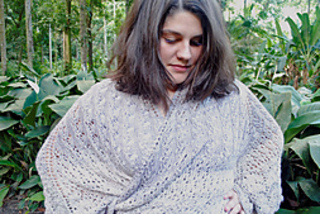 Knitted with 4 sections to wrap the body confortably, it becomes a big shawl for chilly days! 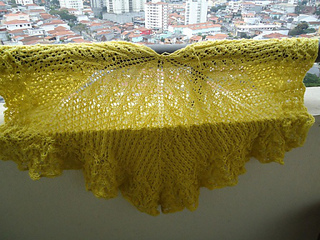 I adapted the yarn color variations to the pattern and you can play with different yarns dye lots as well. 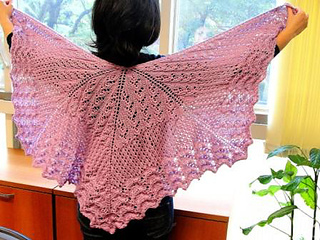 Or be creative with different colors for each motif. 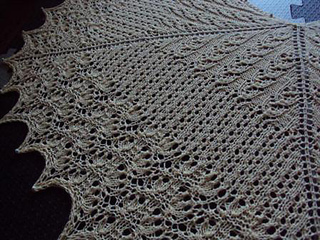 Yarn: 7 skeins Madelinetosh Tosh DK 100% superwash merino wool, 225 yds/205m, color “Gossamer”. 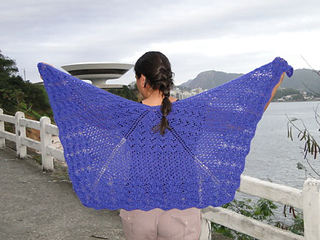 I just fell in love with Tosh DK in this color and since the skeins were from 3 different purchases, I’ve decided to embrace the color’s variations and have fun with them on the shawl pattern. 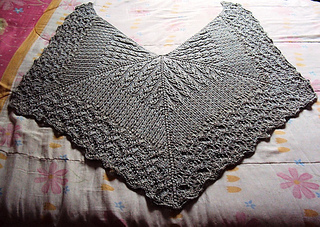 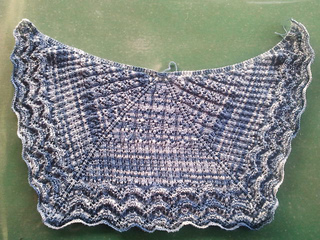 The measurements were taken after blocking.